Surreptitiousstudios's Blog done or made by stealth; secret or clandestine: a surreptitious glance. 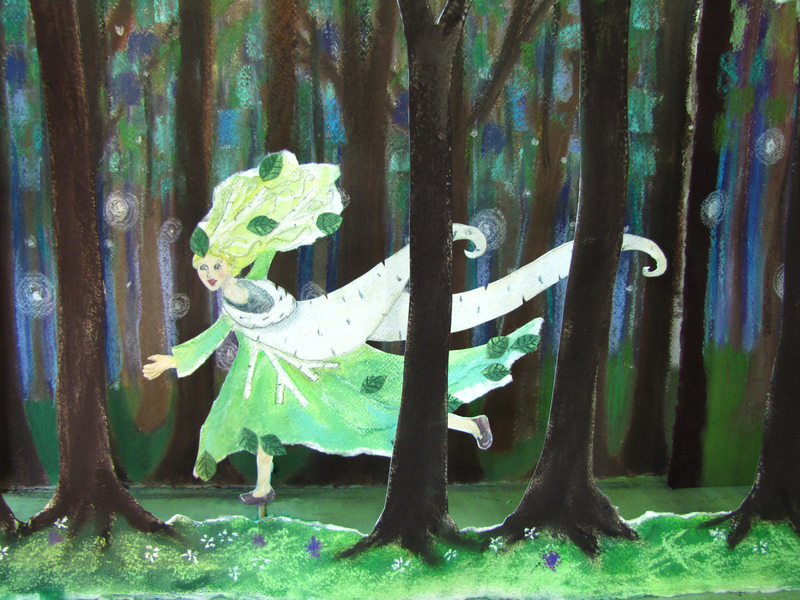 Charlotte danced through the forest, her cape twirling out behind her. This is an illustration I did for a children’s story I wrote. She is a tree that comes a live. I think I started the story with the image of a tree spirit dancing through the forest with leaves and branches spinning off behind her. She is a birch tree, and her cape is made of birch bark. I love the inspiration that comes from sitting in the forest and hearing the leaves twirling and falling all around me. This entry was posted on January 22, 2012 by surreptitiousstudios. It was filed under children's art and was tagged with dancing girl, enchanted forest, forest, illustration, magical forest, tree spirit. your color scheme and the hair style reminds me of kay nielsen…beautiful job!